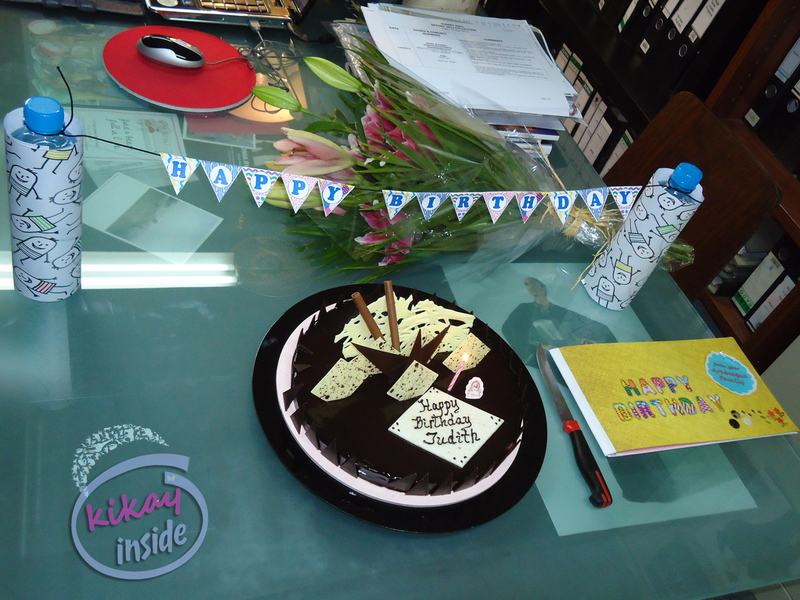 Whenever there's an upcoming occasion in our office, I am always in-charge of the crafty gift for the celebrant. Well, yesterday was my boss's birthday, and as usual, I've been spending sometime thinking of something creative that I haven't done for her in the past years. 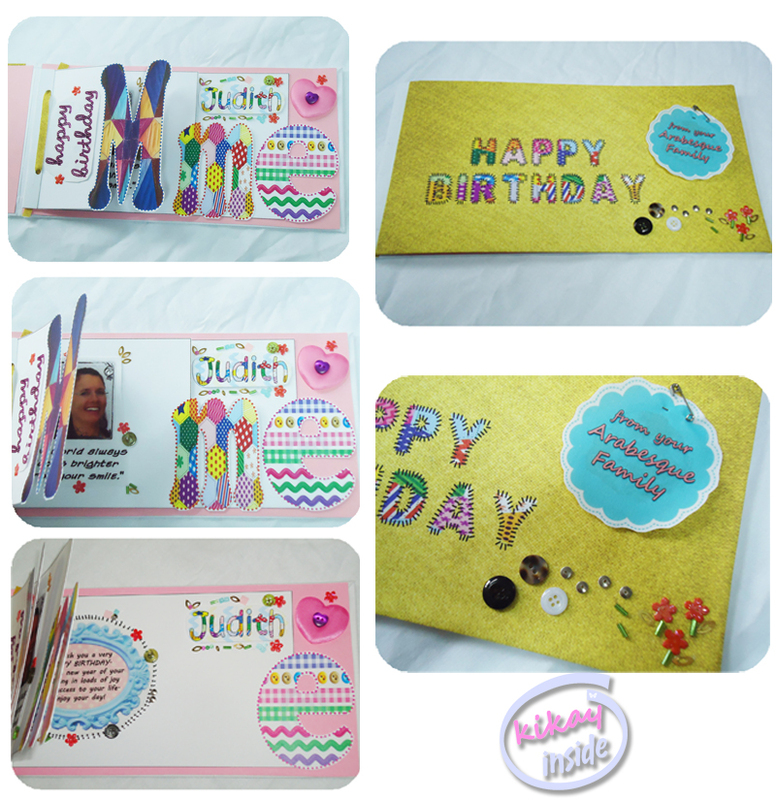 Good thing that I have my art & craft gadgets in the office, I manage to make a scrapbook inspired birthday card. It was mainly covered with a fabric; printed with my own design and accessorized with some buttons and beads were scrap from our tailoring department. 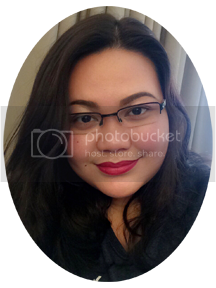 Want to Check out my Latest Videos?